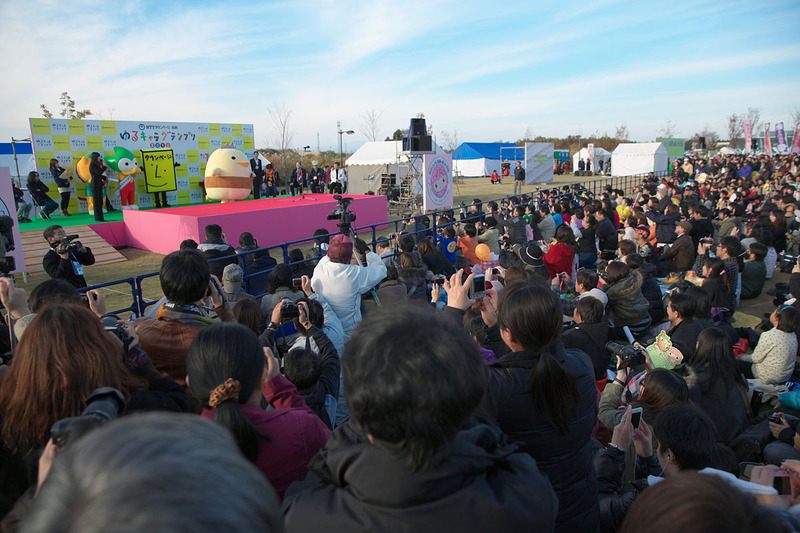 This year’s Yuru-kyara Grand Prix was held in Tokoname City, Aichi Prefecture on November 3rd. Yuru-kyara are everywhere in Japan. But what are they exactly? Here is some information to help you understand what are these characters. The word “Yuru-kyara” is short for “Yurui Mascot Character” in Japanese. Yurui means loose or slack. 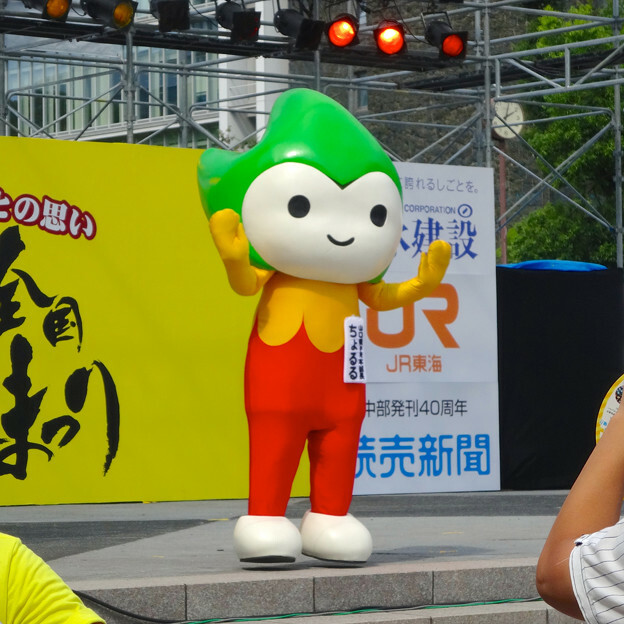 Yuru-kyara have gained popularity as mascot characters and appear to support promotional campaigns and events for cities, organizations, local specialty products, events, etc. The word Yuru-kyara was made by a famous comic artist Jun Miura. 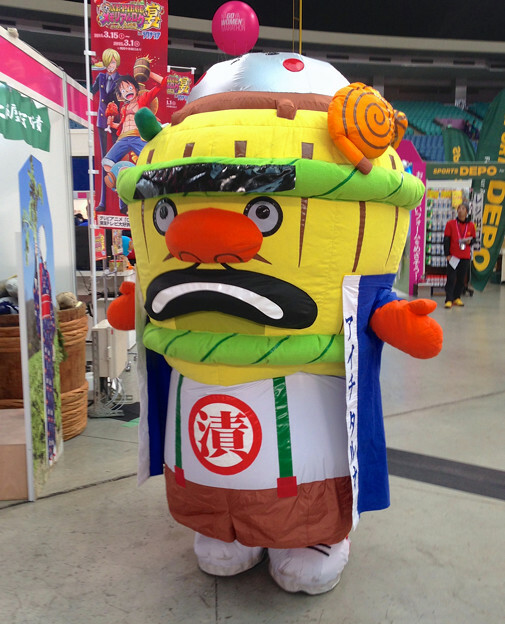 Mr. Miura came up with the original idea of Yuru-kyara when he saw Bunkkaki, the mascot character representing an annual festival in Hiroshima. The picture above is Bunkkaki. Yuru-kyara have gradually gained popularity in local cities. Hikonyan, created to celebrate the 400th anniversary of the Hikone Castle, sparked the “Yuru-kyara boom”. 1. It has to send us a strong message of love for one’s hometown. 2. It has to show us bizarre and unique features. 3. Its laid-back attitude has to be loved by everyone. Currently, there are recognized 1,699 Yuru-kyara according to the number of Grand Prix participants. In addition to popular local Yuru-kyara, there are also other types of Yuru-kyara such as corporate Yuru-kyara. 2. It doesn’t have a laid-back attitude unlike other popular Yuru-kyara. 3. It is an unofficial mascot. Funassyi often shows up in talk shows on TV because people enjoy its sharp tongue. Yuru-kyara related products sell very well and greatly contribute to Japan’s economy. Now that you know what are Yuru-kyara, let’s see the ranking of Yuru-kyara Grand Prix 2014 next!